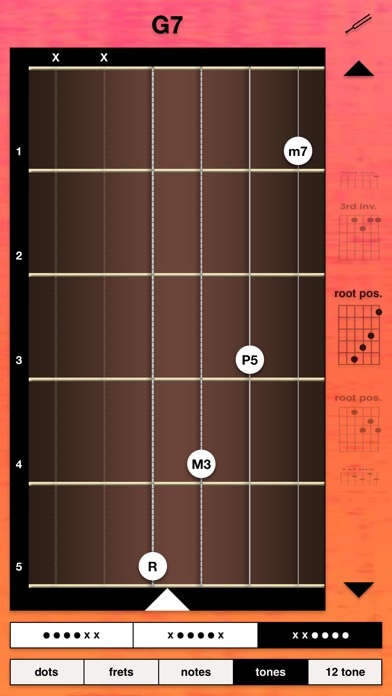 Learn hundreds of guitar chords with live playback. Great for jazz and songwriting in any key. Fret number, note name, chord tone and atonal theory display modes available. Guitar tuner included. • Guitar Handbook is a tool for learning hundreds of variations of essential guitar chords. These chord voicings/inversions offer colorful new ways of playing chord progressions. 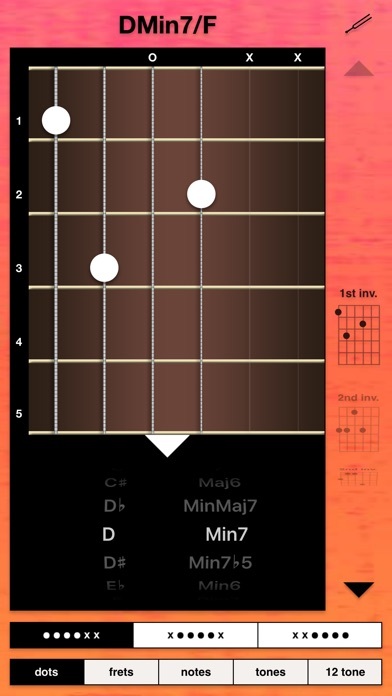 • Tap the chord name to hear it plucked, or strum the notes individually for live playback. 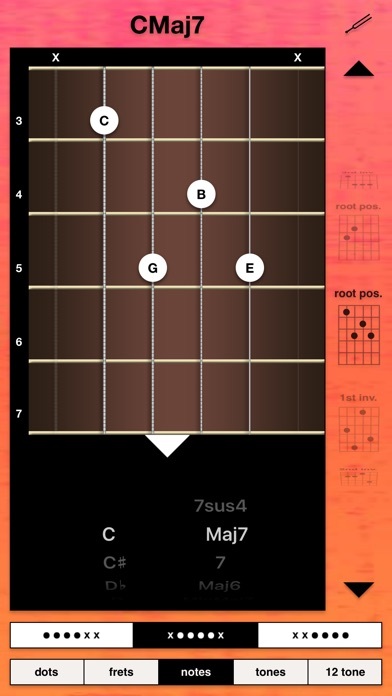 • The app focuses on 4-note 7th chords which include the Root, Third, Fifth, and Seventh with no doubled notes (i.e. CMajor7, Aminor7, G7, etc). • These chord shapes are all movable, which means you can slide them up or down by any number of frets to play in all keys. 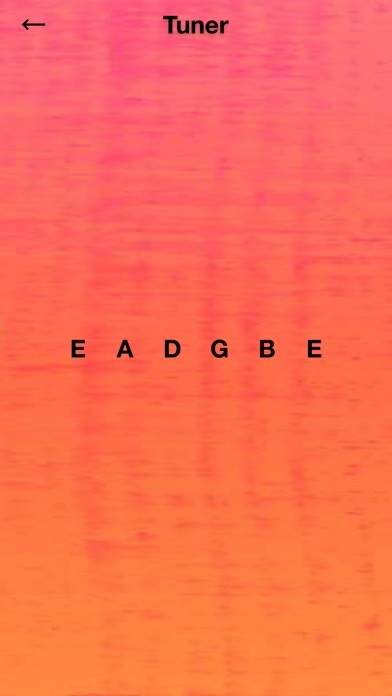 • There are no barre chords, so these voicings require less hand strength than traditional barre chord voicings which often use all six strings at once, with one finger pressing down multiple notes. • The chords are systematically organized into three “string sets” of four strings each - the lower four, middle four and upper four strings (i.e. EADG, ADGB, DGBE). • Jazz guitarists wishing to expand their vocabulary of jazz inversions and improve their understanding of chord theory will find this to be a useful practice or teaching tool. 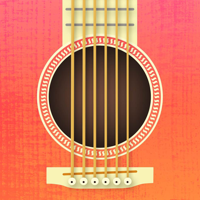 • A convenient guitar tuner is available within the app. • Chord variations on the upper four strings can be used for Ukulele, and the lower four strings apply to bass players.